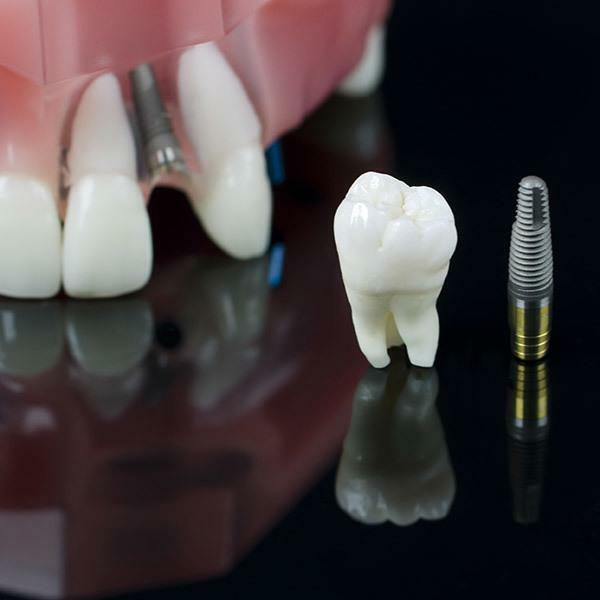 What Is the Dental Implant Treatment Process Like? First, your Empress Walk Dental dentist will talk through your concerns with you and make professional recommendations based on your specific needs and desires. Upon determining that dental implants are the right course of action, your dentist will examine your mouth, using X-rays to determine where the implant(s) will be placed. The placement of your implant(s) will depend upon how your bones are shaped and where your nerves and sinuses are situated; your treatment will be designed according to your facial structure so the implant(s) can be placed in the best possible location. If for some reason your dentist needs additional information before designing a treatment plan, a CT (or computed tomography) scan may be necessary to give your dentist a 3D model of your mouth. After this, it will be time to place the implant(s). Depending upon the patient, the dentist may decide to use a single-stage procedure or a double-stage procedure. Both procedures begin the same way: First, the dentist makes a small cut in the gum tissue so that the bone can be seen. Then, the dentist will carefully drill into the bone, creating the hole where the implant will go. The implant is placed into the hole and is then covered by a device called a healing cap, which sticks up through the gum and protects the implant site from harm. After 3-6 months of recovery time, the dentist will take the healing cap out and put a more permanent fixture called an abutment in its place. At this point, the dentist will seal the crown (replacement tooth) over the top of the abutment. The dentist caps off the implant with a cover screw for protection. In order to facilitate healing, the dentist sews the gum up over the screw. Later, the dentist makes a small cut in the gum to reveal the implant and secure a healing cap over top of it. Once the gum has healed from the earlier stages, the dentist exchanges the healing cap for an abutment, which will remain in the mouth permanently. Now the implant will be ready to receive a crown/replacement tooth. Do I Need the Double-Stage Procedure? Your Empress Walk Dental dentist will be sure to let you know if a double-stage implant procedure will be necessary in your case. The double-stage procedure option is typically used in cases where the patient needs to have more bone added to the area where the implant will go. Sometimes this is accomplished by means of a bone graft, and other times a bone regeneration technique is used. Teeth that have been missing for an exceptionally long time – healthy teeth promote the natural bone renewal process and when they are absent this process is greatly hindered. Your gums will take approximately 6 weeks to recover from the implant procedure. At Empress Walk Dental, we are typically able to install crown (or bridge) over implant abutment (or abutments) in a patient’s mouth in only one appointment due to our powerful CEREC technology. In instance where the crow or bridge must be created in an off-site dental laboratory your Empress Walk Dental dentist will make a new mold of your mouth so that a model can be created. Our skilled dental technicians will use the model to make your replacement teeth (in the form of a crown or bridge) and to be sure that the new teeth are a perfect match for the teeth that are already in your mouth. No one will ever know the difference! 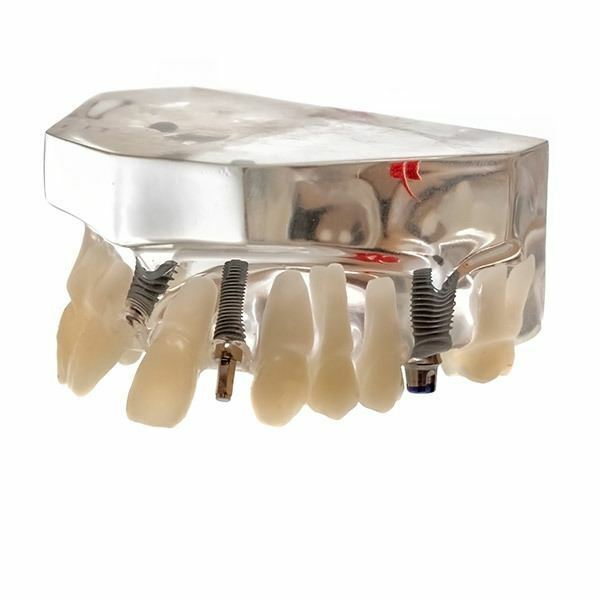 Then, the dentist will be able to attach the crown(s) and/or bridge(s) to the abutments that are situated on top of your dental implant(s). After making sure that the new teeth both look and feel good to the patient and that biting functions can happen as they normally would, your Empress Walk Dental dentist will send you out into the world to show off your new and improved smile. Through a series of follow up visits, we will continue to monitor how the implants are working for you and make sure that you are totally satisfied with how they look, feel, and operate within your mouth. What Are Bone Grafting and Bone Regeneration? Our Empress Walk Dental dentists use bone grafting to add more bone to the location(s) in the mouth where a patient’s implant(s) will be placed. Autogenous grafting – when bone is taken from the patient’s own body, usually from the hip because it has lots of bone cells with plenty of useful bone marrow. This is the best and most preferred option because the patient’s body will not reject the bone since it was already a part of the body. Allografts – used if the patient’s own body doesn’t have enough bone material to spare. In this case, the dentist will use donated human bone from a “bone bank” (similar to blood banks and blood transfusions). Other than the source of the bone, this type of bone graft works in exactly the same manner as a graft using material from the patient’s own body. Xenografts – bone from an animal, usually a cow, is used to supplement the existing human bone. As time goes on, the patient’s own bone tissue overtakes the bovine (cow) bone. Alloplasts – a form of bone graft that utilizes lab-created bone substitutes that mimic the chemical structure of human bone. Alloplasts essentially serve as a foundation for new bone growth of the patient’s own bone. They can either be succeeded over time by natural bone, or they can remain within the body. Regardless of the type of bone graft you have, the healing process will take a minimum of three months, and possibly longer depending upon the extent of the bone grafts. More bone grafts = longer recovery time. Only once the mouth has healed from the bone grafts can the implantation process begin. Bone regeneration is different from bone grafting in that instead of taking bone from somewhere else and attempting to attach it to the areas that need more bone, the dentist actually uses a specialized scientific approach to encourage the bone cells to grow on their own to replace the lost bone. In the race to fill the new “hole” in the mouth, gum cells or connective tissues usually win out, and once the “holes” have been filled, there will not be a chance for bone to grow there. With bone regeneration technique, the dentist uses a barrier membrane to keep the other types of cells from taking over the space, ensuring that the bone cells will have a chance to fill in the gap. Some types of barrier membrane will break down over time and dissolve back into the body. Other types have to be taken out later on. At Empress Walk Dental, we stand behind our work and we want you to be able to enjoy your smile for a very long time. According to the official research, the vast majority of dental implants last for a minimum of 5 years. Our goal is for them to last much longer, which is why we will teach you the best habits to keep your implants in optimal shape for the long-term. 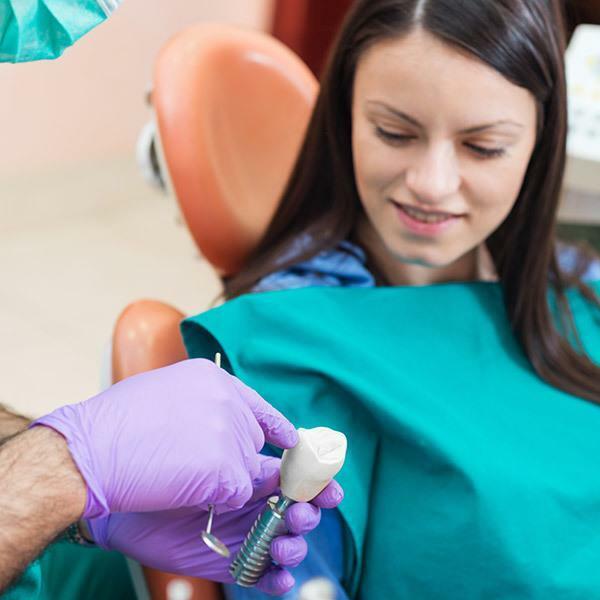 Your implant(s) will last much longer if you follow a comprehensive oral hygiene routine, abstain from smoking, and continue to see us here at Empress Walk Dental for regular checkups. That way, we can professionally clean your teeth and make sure that your implants are in good shape (and if they are not, we can step in and solve the problem before it gets to the point where the implant would have to come out). The bottom line? If you take very good care of your teeth by brushing twice per day and flossing regularly, visit us for your recommended follow up appointments, and avoid smoking, your dental implants should last for years to come – potentially even a lifetime! For more information about dental implants, call us at Empress Walk Dental today at (416) 250-8000 to set up your consultation at one of our convenient Toronto or North York locations!